Located in the heart of Boyle Heights, the artist’s goal is to create a focal communal space for the multi-generational communities of the area. 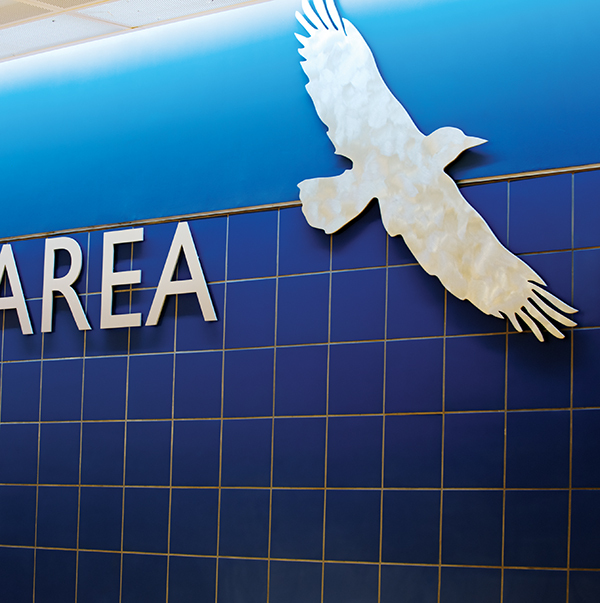 Images of birds, alluding to migration and travel is the theme throughout portions of the plaza, escalator walls and mezzanine. Inside the mezzanine around bird silhouettes, a map of Boyle Heights and text that alludes to travel and destination. 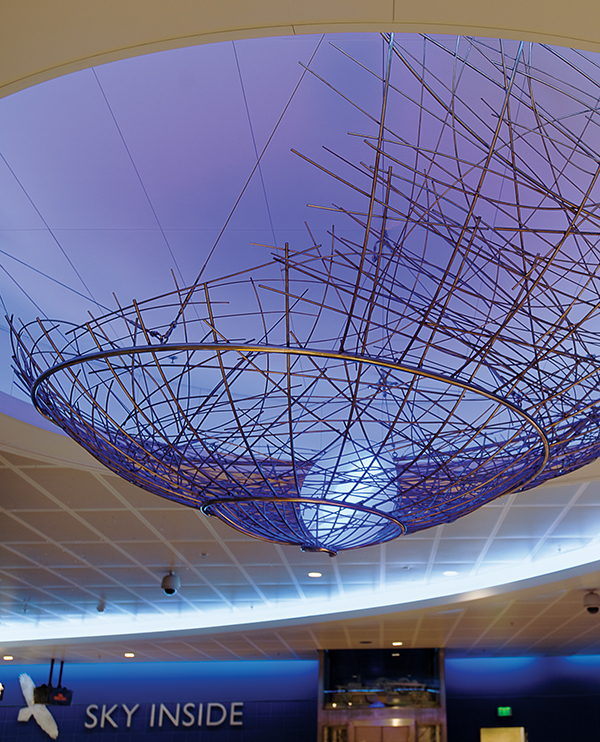 A nest like metal wire sculpture with a glowing cast fiberglass egg is suspended from a vaulted ceiling in the center of the mezzanine. NOBUHO NAGASAWA was born in Japan, and studied at the State Academy of Fine Arts in the Netherlands and the Hochschule de Kunste Berlin, where she received her Master of Fine Arts. She also attended California Institute of the Arts in Valencia, California. A conceptual artist, Nagasawa has had her work exhibited in galleries throughout the United States as well as Europe and Japan. In addition to public art projects in Germany, Japan and Southern California, including one at the Koll Anaheim Center, she was commissioned by Metro to be part of the design team for the LAX Gateway Station, Metro Green Line, and she has completed a work at the Vermont Square Branch Library for the Department of Cultural Affairs, City of Los Angeles. Other commissions include sculptural artworks for the Culver City Downtown Streetscape Project and for the Community Redevelopment Agency, City of Los Angeles Downtown Revitalization Project, The San Francisco Municipal Metro East Light Rail Maintenance and Operations Facility, the Seattle City Hall and the American Airlines Center in Dallas, Texas.